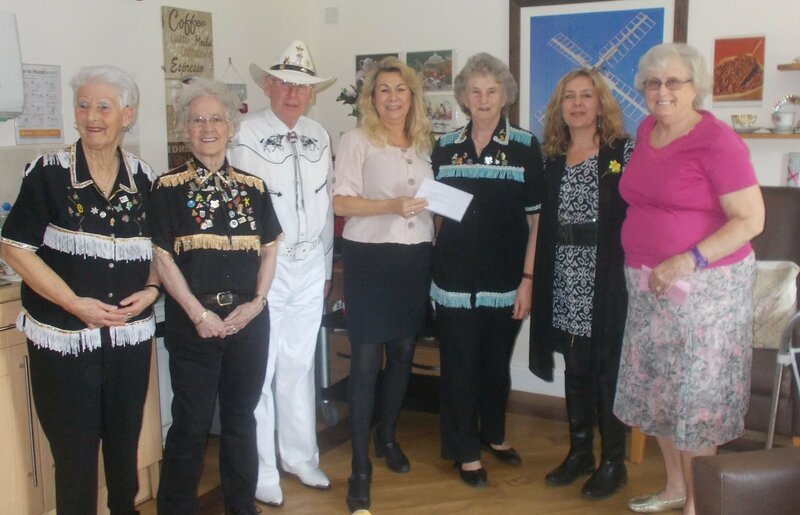 Our visiting Line Dancing Group, South Park Stompers, raise funds for charity and this year the Windmill House Greenhouse Project was awarded an amazing donation of £500. 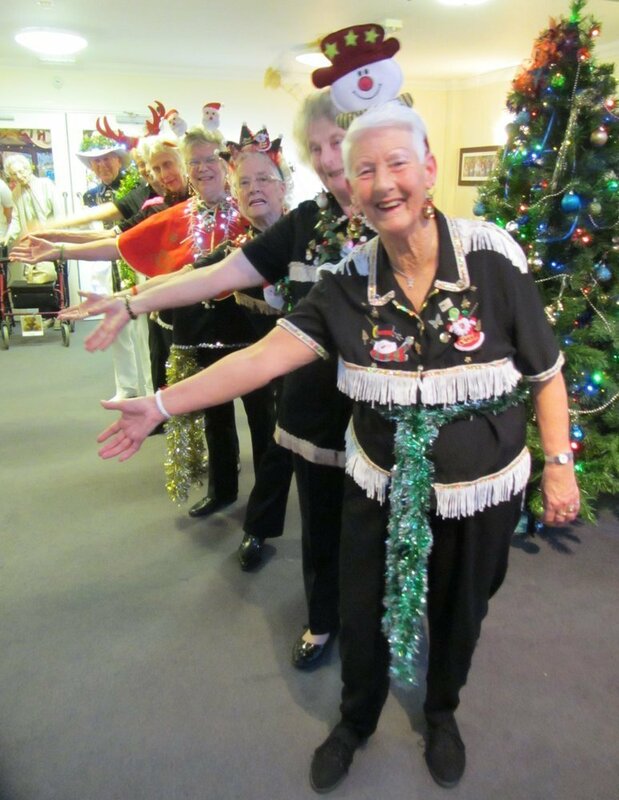 The Group were approached by our Activity Co-ordinator, Fran Annis, who asked if they would consider nominating the project in December ....... we are so thankful to the Group for choosing our Greenhouse Project and also for all their wonderful shows performed with such energy and enthusiasm. 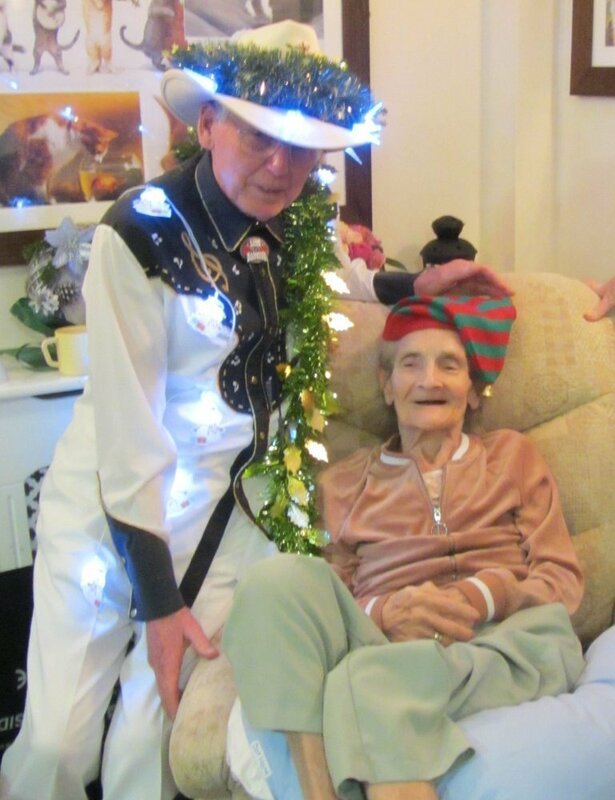 Residents really enjoy their dancing and music and the Group have put a lot of time and effort into costume themes through the year's events with our residents joining in with the dancing and dressing up. South Park Stompers attended a presentation tea party held with residents to receive the donation and to say thank you to them. The Group have been invited to attend the Grand Opening Ceremony of the greenhouse and cut the ribbon when completed. A huge thank you South Park Stompers! 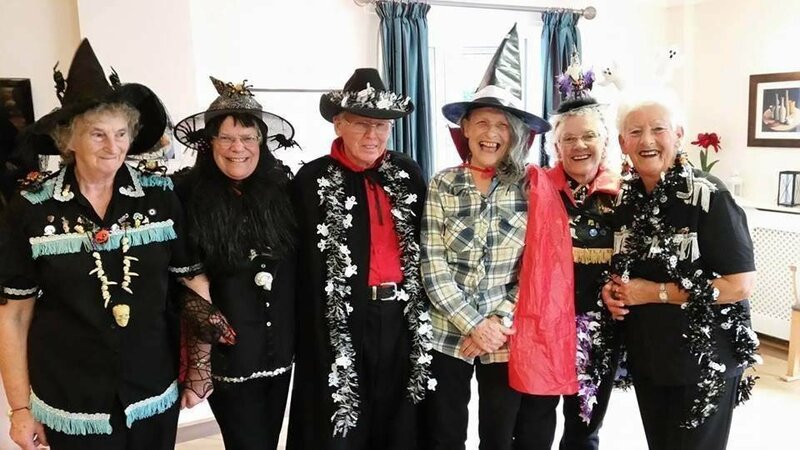 the Group before moving to Windmill House. hobby and continues joining in at Windmill House. One of the Group was a particular favourite with Eva Freshwater!